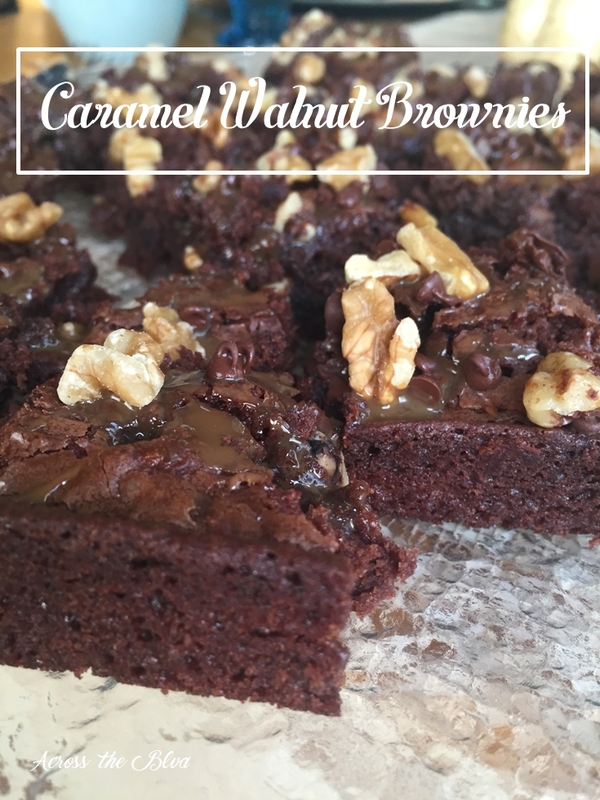 We like to share a recipe now and then and these caramel walnut brownies are delicious and easy! 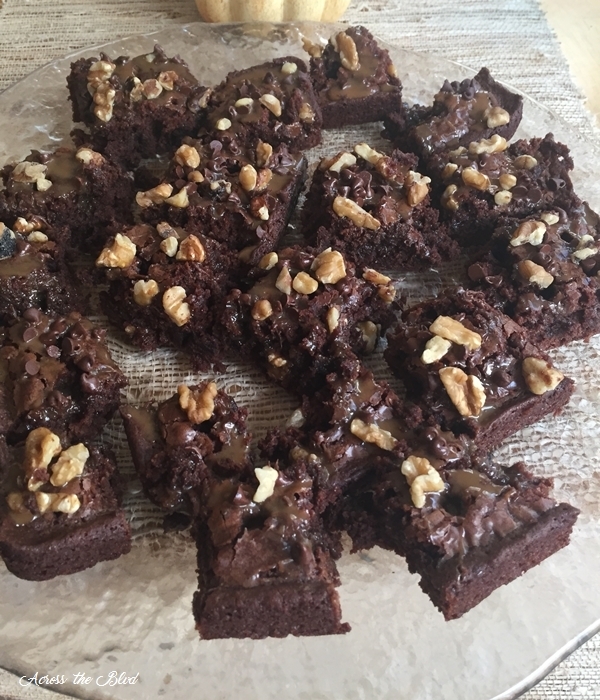 If you love a rich, chocolate brownie with caramel and you want it to be a simple recipe, this one is for you. The walnut topping adds to the flavor combination. 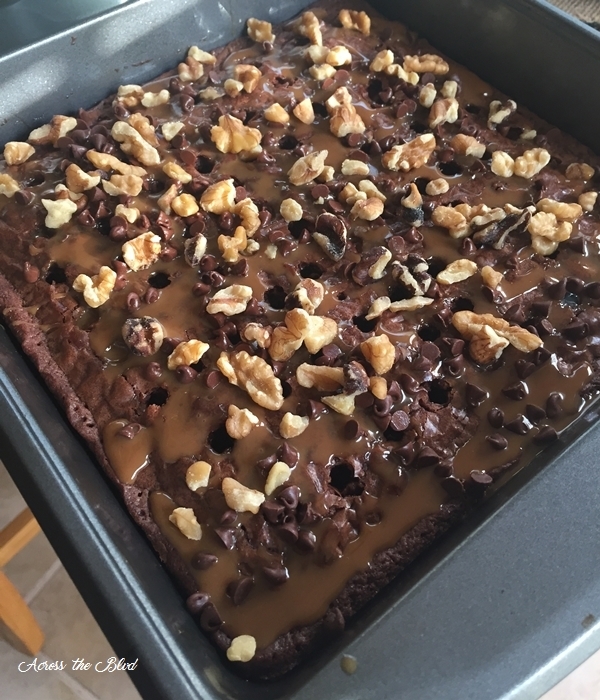 Using a brownie mix makes this a quick treat. 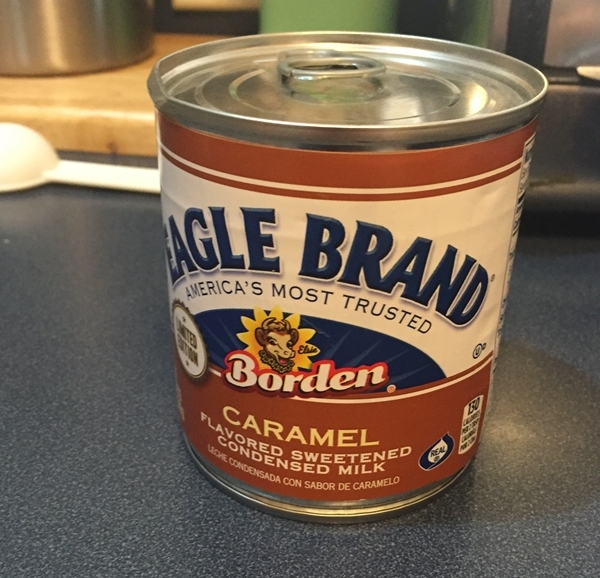 Have you used any of the flavored condensed milk products from Borden? This isn’t sponsored, although maybe it should be! When I saw this caramel flavor in the store, I wanted to give it a try. I didn’t have any particular recipe in mind for it, so it sat in my pantry for a while. After making a batch of brownies, I thought I’d try it as a topping. I baked the brownies as directed on the package. I used Ghiradelli Double Chocolate brownie mix. Once it had cooled slightly, I used a straw to poke holes into it. 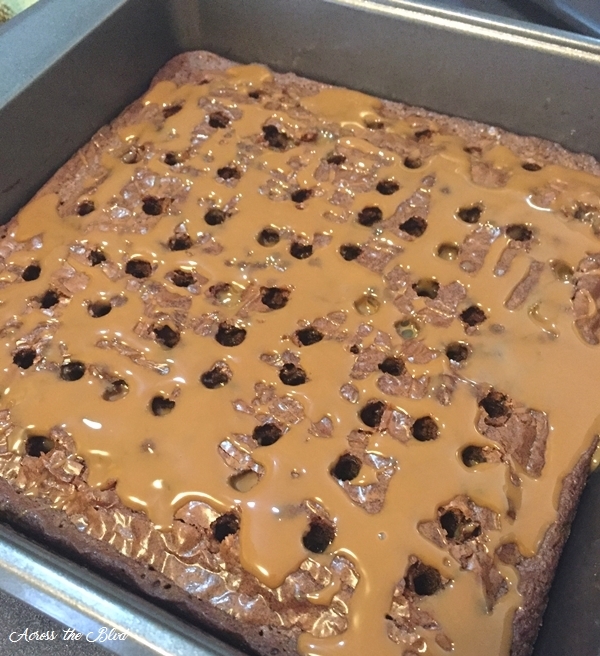 I slowly poured the caramel condensed milk onto the brownies, making sure lots of it seeped into the holes. I didn’t measure the amount, but it was about 1/3 of the can. 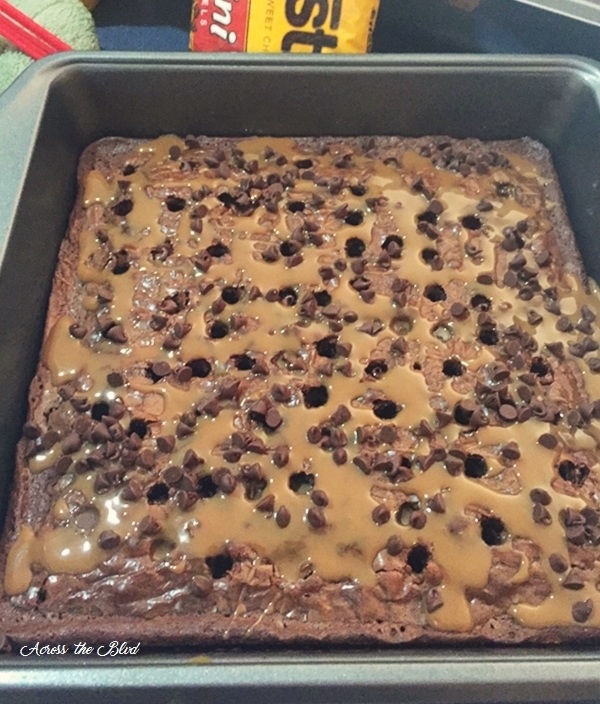 I sprinkled mini chocolate chips on top of the caramel. Walnut pieces were the final topping. 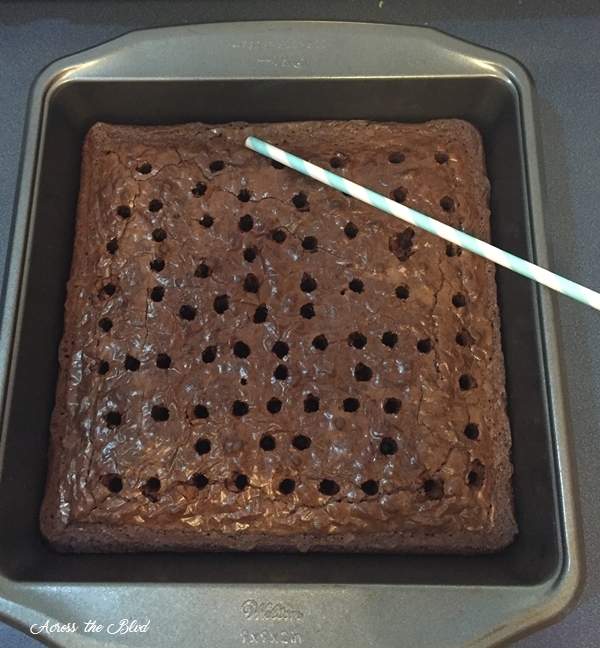 I allowed the brownies to cool completely before cutting into squares. 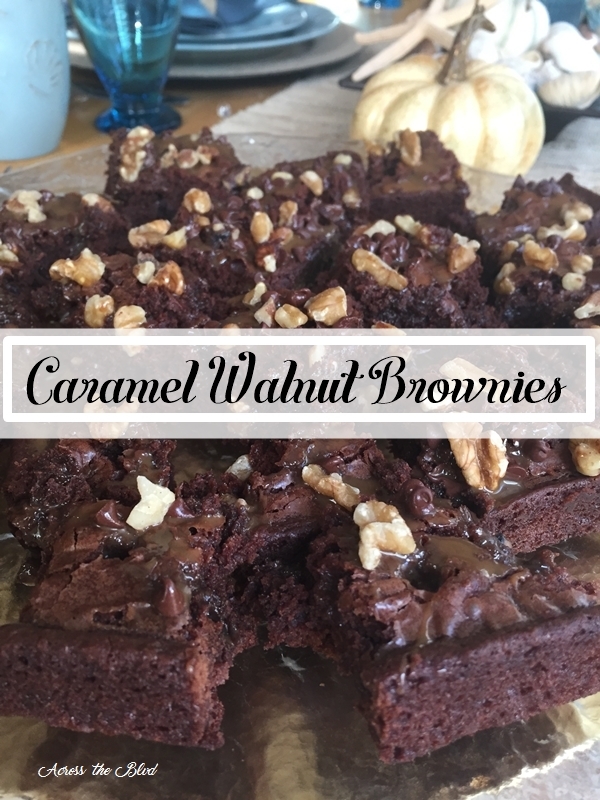 These Caramel Walnut Brownies were a hit at my house. They are rich and a little gooey, with a little crunch from the walnuts and they taste delicious! Oh you had me at chocolate and caramel. My two favorite flavors in an unbeatable combination. Those are two of my favorite, too, Debra. The caramel condensed milk was an easy way to add some great caramel flavor. Brownies are my all time favorite treat! Adding caramel and walnuts . . . yum! They look delicious and so easy to make too. Pinning. Thanks, Laurie! It’s fun to play around with variations for brownies. It is an easy way to add some extra flavor. Oh yummy! These brownies look so delicious! You can’t go wrong with brownies and caramel! I agree, that’s a great flavor combo. Thanks, Monroe! Oh my, these look so good. I’ve got to try them. Brownies are a favorite around my house. Thanks, Sharon! These are an easy version of them. Hope you enjoy them! Oh Beverly – these look absolutely divine!! thanks for sharing on the What’s for Dinner link up! They were pretty tasty! Thanks for the party, Helen. Ha! They were hard to resist. Thanks, Jess!